If you are looking Ira Hotel & Spa from a panoramic point of view, the first thing that you will notice is the colours! On a cliff full of the white washed cubed houses, Ira Hotel & Spa stands out for its colour palette and the impressive- almost castle look alike- structure. Well, it is about time to share some things about the architecture of Ira Hotel & Spa in Firostefani, Santorini. First of all, we have to mention that the Ira Hotel complex is divided in two main buildings; the traditional dwellings and the caldera view building. The traditional dwellings are built in the cave form and all meet in a yard, resembling exactly the genuine structure of a Santorinian village. The rooms are carved into the rock and feature a door and windows on the façade of each room. At the caldera rooms and suites of Ira Hotel & Spa one thing is for sure; you will have stunning views from your balconies to what Santorini truly is about. 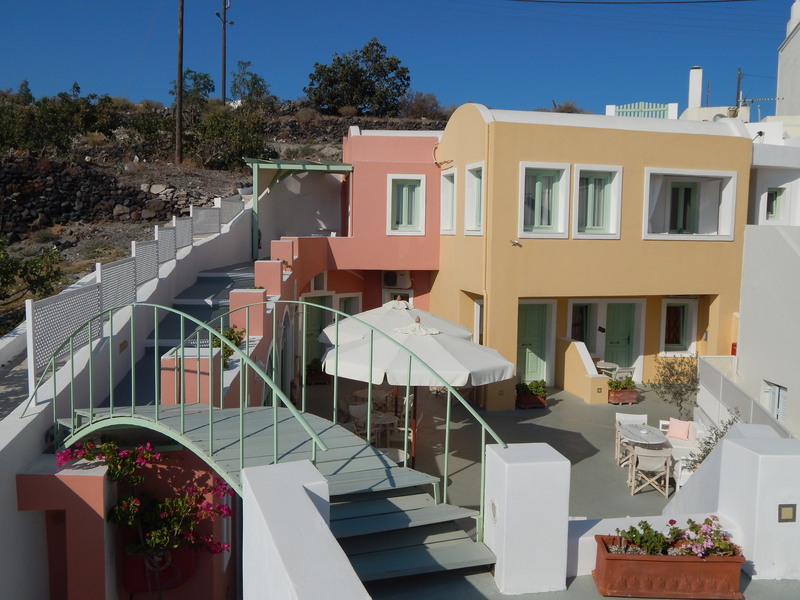 Panoramic view of the traditional dwellings of Ira Hotel in Santorini! Both buildings of the Ira Hotel & Spa feature some authentic elements of the traditional local architecture like the arches, the chimneys, the bridges plus some corners with a well and water fountains and lots of corners with sofas and tables to relax. 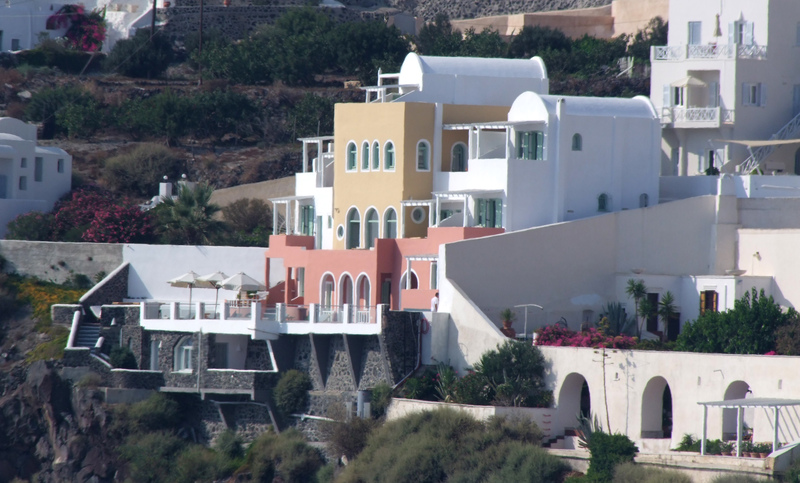 The main caldera view building of Ira Hotel in Santorini! 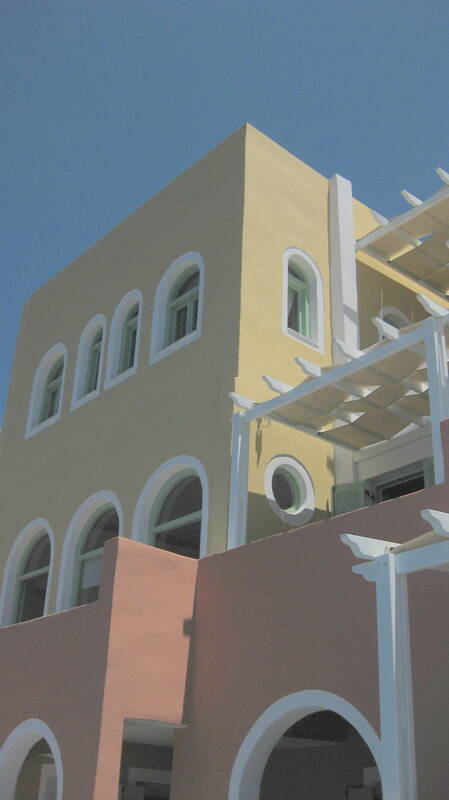 Let’s return to the colours of Ira Hotel & Spa. The pale yellow, orange, the white and grey are inspired by the local colour palate. These are the colours which Santorinians used to paint their houses with for centuries. In Ira Hotel, though, we gave a more modern touch to the shade of these colour to make your stay in Ira Hotel & Spa a genuine touch of living in Santorini! To see more photos regarding the architecture of Ira Hotel & Spa you just have to click on www.ira-hotel.com/gallery-2. 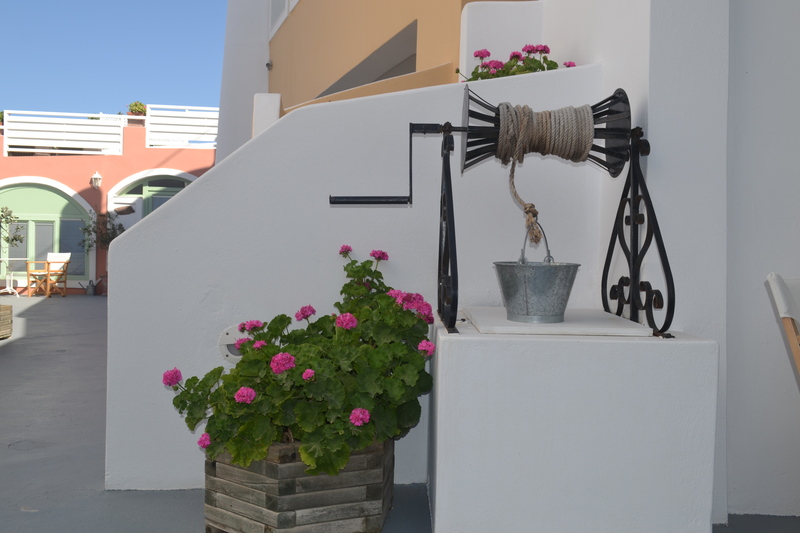 A traditional corner in Ira Hotel in Santorini!